Garrett H Garner, M.D., F.A.C.O.G. Dr. Garner is a native of Dallas, received his undergraduate degree from Vanderbilt University in 1992 and his medical degree from the University of Texas Southwestern Medical School, Dallas, TX in 1996. He remained in Dallas to complete his residency training at the U. T. Health Science Center, Parkland Hospital, Dallas, TX. 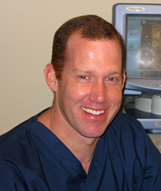 Dr. Garner then joined Northlake OB/Gyn in 2000 and is a partner of the group. Dr. Garner is board certified in obstetrics and gynecology and is a member of the Texas Medical Association, and a Fellow of the American College of Obstetrics and Gynecology. He is the current chairman of the Department of OB/GYN, Presbyterian Hospital of Plano. Dr. Garner is married to Leslie, also a physician practicing at Children's Medical Center practicing in the area of pediatric intensive care. Dr. Garner has three children. He spends his spare time coaching the various youth teams that his children play on, getting in an early morning round of golf and relaxing at the lake.